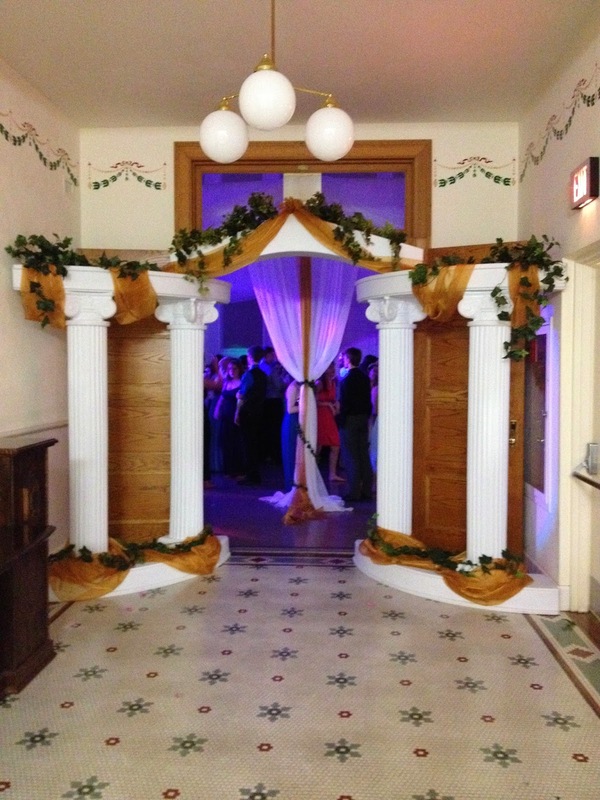 Column Entrance with Gold organza and Ivy greet the students as they Enter Prom. 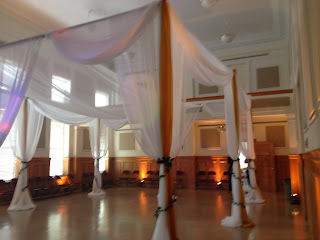 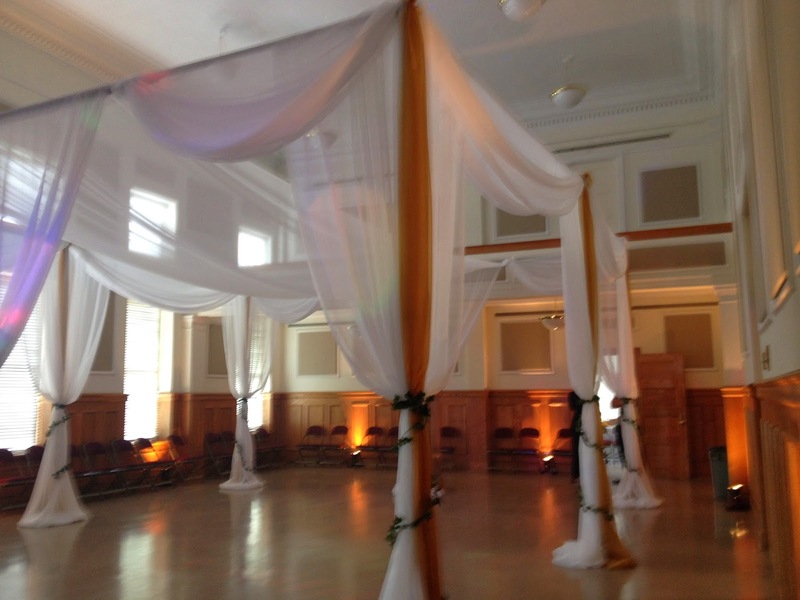 20 ft X 24 ft Sheer Canopy created to let the students dance the night under an Elegant canopy with Ivy Accents on the support columns. 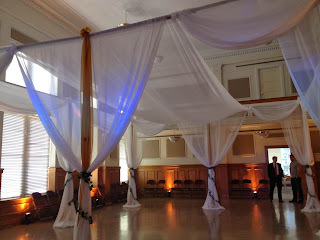 Sheer canopies can be created in custom sizes for your event such as weddings, sweet 16, Quinces, Mitzvahs, Corporate galas. 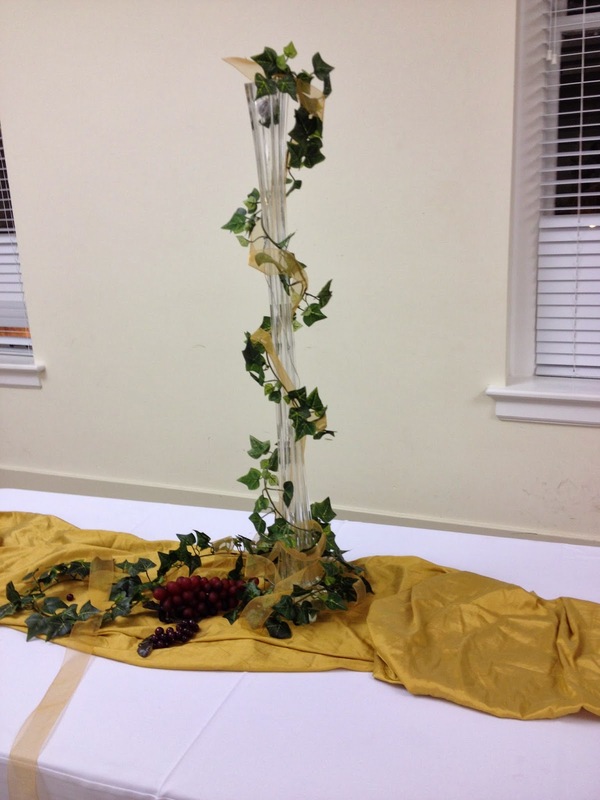 Tall vases with Ivy, gold ribbon, white battery operated lights on top of Gold Organza continue the Greek theme. 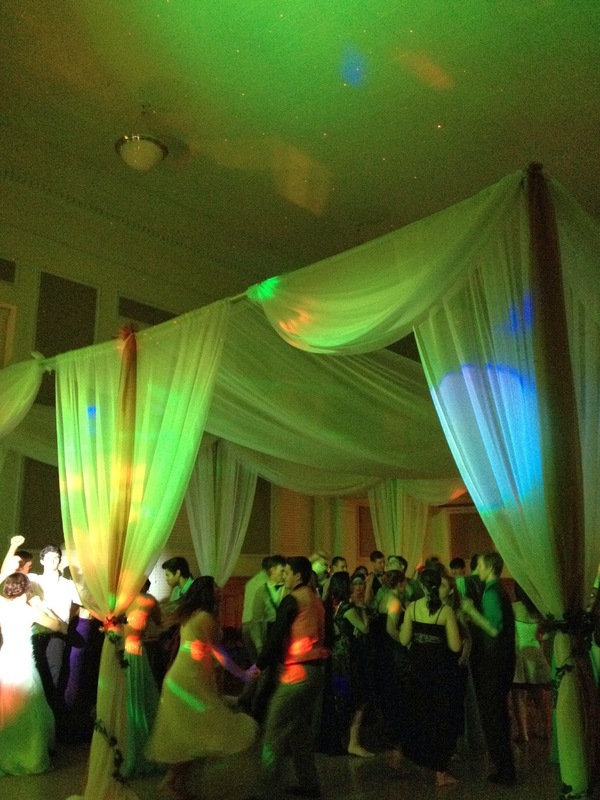 Dance Canopy in the evening with the magic glow of DJ lighting. Party People Celebration Company is based in Lakeland Florida and provide on site décor throughout Central Florida. 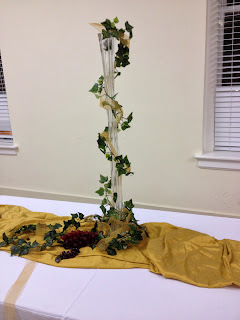 To have custom décor created for you celebration call 863-255-2025, email partypeoplecc@msn.com or go to our website http://partypeoplecelebrationco.com to fill out our contact form.